The Commercial Space blog will be taking a short break to enjoy the final two weeks of summer and go to the beach. We'll also be doing some background research on one possible American and one far more probable European Union (EU) legislative initiative directly related to news coverage and freedom of speech issues. Both have the potential to change, disrupt or even shut down almost all online news services, including this blog. The first. a US based initiative, is related to a series of potential amendments to Section 230 of the US Communications Decency Act of 1996. Section 230 has been traditionally interpreted by US courts as saying that operators of internet services (including social media outlets, such as Menlo Park CA based FaceBook, San Francisco CA based Twitter and others) are "not to be construed as publishers" and are therefore not legally liable for the words of third parties who use their services. ...the single most important legal protection for free speech on the Internet, (which) establish a safe harbour that ensures online services are not liable for the content posted by their users. My (previous) Globe and Mail op-ed (the November 30th, 2017 post, "NAFTA offers the chance to establish long overdue online speech safeguards" ) notes that over the past two decades, the CDA Section 203(c) provision has been used by every major internet service – from Google to Amazon to Airbnb – to ensure that courts, not private companies, determine what is lawful and permitted to remain online. As outlined in the August 6th, 2018 Huffington Post article, "The One Law That’s The Cause Of Everything Good And Terrible About The Internet, and the Push to Change it, for Good or Ill," the Communications Decency Act has received a broad legal interpretation by US courts, which essentially "gave birth to the social web and the digital platform monopolies that we have today." But this very successful legislation currently seems to be breaking down. Both right and left wing advocates for the major US political parties now argue that the very same digital monopolies created by the Section 230 regulations dominate entire sectors to the point where it is practically impossible to avoid using them when exchanging information. Which means that anyone looking to get his or her message out, including politicians, activists, advocates and even news services, are forced to use social media outlets and follow their rules. Pundits also argue that social media organizations are increasingly caving to political programs designed to pressure them into "deplatforming" controversial political viewpoints, long before the specifics can be adjudicated by the court system. This state of affairs is contrary to the original intent of the Section 230 legislation which, is intended to preserve freedom of expression. Both republicans and democrats in the US have accused the various social media giants of bias because of the onerous legal process required to adjudicate social media decisions. The process is considered to be undefined, opaque and not terribly understandable to social media users on either side of the political spectrum. All of which suggests that, if any intentional bias actually does exists, then it almost certainly favors the social media monopolies who can pretty much do whatever they want, a situation which is also contrary to the intent of the Communications Decency Act. As things stand now, you need a great deal of money, time and effort to sue Facebook if it blocks your posts, which gives the social media monopolies a substantial advantage during negotiations. The Donald Trump administration in the US has signaled to the public that it will be "reviewing" the Section 230 regulations, in part because of the recent banning of American radio show host Alex Jones and other conservative voices from San Mateo CA based YouTube and other social media platforms. Jones, a strong Trump supporter (and a bit of a crazy "conspiracy theorist," with extreme, but not necessarily illegal viewpoints), will likely need to sue multiple tech giants over a period of years in order to clear his name and regain his online access. All of which bodes ill for anyone else the monopolistic tech giants might dislike or disagree with. It's also worth noting that the current US president receives the majority of his positive media coverage from online conservative focused outlets including Infowars (owned by Jones), the Breitbart News Network and the Drudge Report, which make heavy use of social media channels. The Democratic party would surely appreciate any new opportunity to diminish positive coverage of Republican activities and promote more traditional and (currently) anti-republican media outlets such as the New York Times, The Washington Post, MSNBC and CNN, especially given the upcoming mid-term elections scheduled in November 2018. To be fair to Trump, the original intent of Section 230 was to guard against censorship before those being censored had a chance to defend their words in a court of law. Since that isn't happening, perhaps the US president is correct to suggest that an update to the current legislation is in order. Just remember that any new legislation in this area has the potential to completely change the way this blog, and every other online news service functions, even if the end results turn out to be favorable. Given that, we need to learn more. The second initiative, this one coming out of the EU, has been slightly delayed but is also far further along the path to being legislated into law. It's also far more problematic for news outlets and free speech advocates. ...rejected controversial legislation intended to reform online copyright. 318 MEPs (members of the European parliament) voted against the draft law, compared to 278 in favor. The legislation now returns to the drawing board, before being sent for a second vote in September. ...as a simple update to copyright for the internet age. But it attracted substantial criticism for the inclusion of two key provisions: Articles 11 and 13. The first, Article 11, was a “link tax” that would force online platforms like Facebook and Google to pay news organizations before linking to their stories; while the second, Article 13, proposed an “upload filter” that would have required all content uploaded online to be checked for copyright infringement. The article noted that the initial vote was a relief to US tech giants, "who would have incurred serious costs to adapt to the ruling. Individual users would also have likely been adversely affected by the law, with some campaigners claiming the proposed “upload filter” would have meant an end to sharing memes, which frequently use copyrighted material." 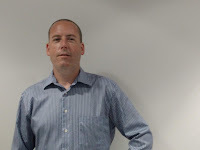 It would also directly impact the structure and operation of this blog, which uses tools supported by the US tech giants being targeted by the EU legislation (who could reasonably be expected to pass along the new fees to end users in all jurisdictions) and often provides direct links to source materials referenced in posts. This blog would certainly not be able to afford to pay an online "link tax." Some have argued that the tax is designed to act as a "barrier to entry" to all but the largest and longest established legacy media organizations. The EU copyright legislation, while delayed, is expected to be updated and reconsidered by the EU in September 2018, but has already begun to directly effect Canadian political discourse. As outlined in the August 19th, 2018 OpenMedia.ca e-mail to members entitled, "They're trying to censor us," the Vancouver BC based Open Media organization, has accused an unnamed "big corporate publishers in the EU" of originating a "takedown notice" to censor international news relating to Article 11 and Article 13 of the EU copyright legislation. Open Media Canada is a "non-partisan, non-profit advocacy organization working to encourage open and innovative communication systems within Canada," according to Wikipedia. The Open Media e-mail references and links to the August 11th, 2018 TF post, "Bizarre DMCA Takedown Requests Censor EU ‘Censorship’ News," and the August 9th, 2018 Electronic Frontier Foundation (EFF) post, "Topple Track Attacks EFF and Others With Outrageous DMCA Notices," to support its claims that online discussions related to Article 11 and 13 are currently being censored in Canada without the formal approval of the legislation by the EU parliment. The EFF post also discussed efforts to take down online posts from various free-speech advocates, including German MEP Julia Reda, the VP of the Greens–European Free Alliance who has strongly advocated against Article 11 and Article 13 on free speech grounds and seems to want to get her information out to potential opponents of the EU legislation, no matter where they might live. As outlined in the July 23rd, 2018 Entrepreneur Europe post, "What Is Article 11, and Would It Help Businesses in the EU?," even the EU is more than a little confused over the consequences of Article 11 and Article 13 legislation. Given that, the proposed legislation certainly warrants a second look from both free speech advocates and media outlets of all sizes. This blog certainly will when it returns with all new stories, beginning September 4th, 2018. The small satellite industry is one of the fastest growing fields of space exploration, and two recent developments in standardization and funding will accelerate the field’s progress. First, the Geneva, Switzerland based International Organization for Standardization (ISO) has published the first international technical specification for small spacecraft, specifying the minimum requirements that all small spacecraft must comply with, regardless of their mission. This document, the "ISO/TS 20991:2018 Space systems -- Requirements for small spacecraft," details the requirements for every stage of a small spacecraft system’s life-cycle: design, launch, deployment, operation and disposal. The ISO is a global network of thousands of experts (members of the national standards bodies of 161 nations) that works to develop international standards for various industries, ranging from food to computer networking to space exploration. Typically, ISO standards are developed by committees of experts who actively work in their chosen field. For example, the ISO has greatly influenced the development of the global telecommmunications industry through its influential open systems interconnection (OSI) model as well as the now-ubiquitious 802.11 wireless networking standards. Standardization will offer the smallsat industry the same benefits it has granted other industries; lowered barriers to entry for new players, greater safety, lower costs and ensured interoperability between different systems. ISO/TS 20991 was developed by ISO technical committee ISO/TC 20, aircraft and space vehicles, subcommittee SC 14, space systems and operations. This committee is led by the American National Standards Institute (ANSI), the ISO’s member for the US. The second development is large, established ‘old space’ firms making major investments in small satellite manufacturers. 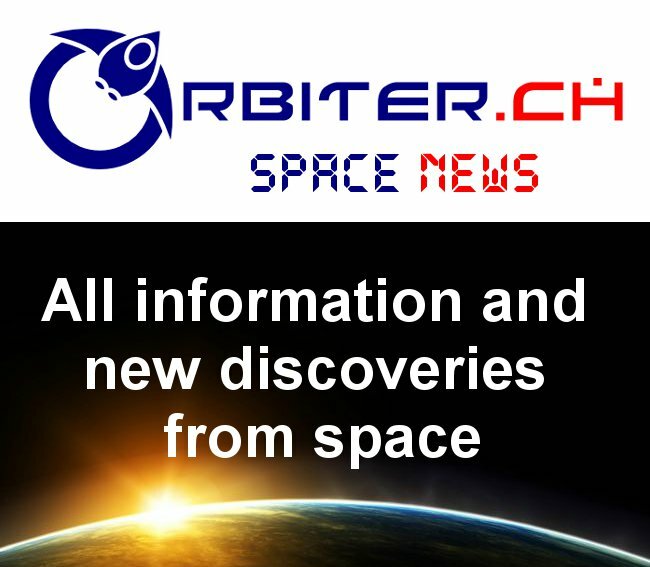 For example, as outlined in the August 6th, 2018 Space News post, "Terran Orbital raises $36 million in Series B investment round," the Bethesda, MD based US aerospace behemoth Lockheed Martin Corporation, acting in partnership with New York NY based multinational investment house Goldman Sachs and Santa Monica CA based Beach Point Capital, has led a $38Mln USD ($50Mln CDN) Series B investment round into Irvine, CA based Terran Orbital. The Community Initiative for Continuing Earth Radio Occultation (CICERO) project, a planned constellation of low-Earth orbiting (LEO) microsatellites for performing GPS and Galileo radio occultation (GNSS-RO) of Earth's atmosphere and surface remote sensing. Terran Orbital will work as a subcontractor to Pasadena, CA GeoOptics. The NASA RainCube cubesat mission, a technology demonstration mission to enable Ka-band precipitation radar technologies on a low-cost, quick-turnaround platform. ImageSat’s RUNNER earth observation imaging satellites. Lockheed Martin initially invested $8Mln USD ($10.5Mln CDN) in Terran Orbital last year and reached an agreement with the company to essentially resell its cubesats through Lockheed Martin under the "LM50 satellite series," logo. Terran Orbital will use the Series B funds to add more staff and build a new 40,000 square foot facility designed to produce up to 150 small satellites per year. In another example, and as outlined in the August 16th, 2018 Geekwire post, "Boeing expands satellite portfolio with acquisition of Millennium Space Systems," Chicago Il based aerospace giant Boeing has announced that it was acquiring Los Angeles CA based Millennium Space Systems (MSS). Founded in 2001, MSS builds two small satellite platforms, Altair and Aquila, as well as satellite components, along with operations management. The company has around 260 employees and a 70,000 square foot facility for designing, building and operating its satellites. MSS’s publicly known customers include various US military organizations such as the Missile Defense Agency (MDA), the Operationally Responsive Space Office (ORS Office), the US Air Force Space and Missile Systems Center, the Defense Advanced Research Projects Agency (DARPA) and the National Reconnaissance Office (NRO). The space industry’s shift away from large, expensive single satellites to large swarms of small ones continues at a steady pace. In turn, standardization and greater investment will help propel smallsats to even greater heights. Brampton ON based MDA, the Canadian subsidiary of Westminster CO based Maxar Technologies, has come out in favor of Canadian participation in the proposed US led Lunar Orbital Platform-Gateway (LOP-G), a space station designed to be the logical follow-on to the current International Space Station (ISS). As outlined in the August 14th, 2018 Maxar/ MDA press release, "Group President of Maxar's MDA outlines opportunities, challenges for Canada's next role in space," MDA group president Mike Greenley discussed the topic in a speech to the 2018 Aerospace Defence and Security Expo (ADSE2018), which was held on August 9th - 10th, in Abbotsford, BC. It's a proposal heavily favored by Canadian Space Agency (CSA) technocrats who, as outlined in the May 28th, 2018 post, "Minister Bains Promises "Canadian Space Strategy" Within Months... Again!," consider the LOP-G program to be their last real opportunity to "bend metal" and build hardware for the forseeable future. It's also a proposal expected to benefit MDA, which could reasonably expect to become the prime contractor to build the new Canadarm required for the LOP-G.
MDA is considered to be the largest and most experienced company able to do the work and Canadian government employees hardly ever get fired for choosing the largest and most capable vendor. If successful, MDA would end up much like its predecessor, the Richmond BC based MacDonald Dettwiler and Associates, which acted as the prime contractor for the Canadarms used on the US space shuttles and the ISS. But the first Canadarm was derived from a distinctly Canadian origin. In the 1960s, Toronto ON based Dilworth Secord and Meagher Associates (DSMA), a small Canadian engineering firm originally known as Paul Dilworth & Company (named after Paul Dilworth, a Canadian engineer who also worked on the Avro CF-911, a predessessor to the Avro CF-105 Aero) developed a robot to load fuel into CANDU nuclear reactors. As outlined in the 2014 book, "Browsing Science Research at the Federal Level in Canada: History, Research Activities and Publications," by Brian B. Wilks, the robot attracted NASA's attention. In 1975, NASA and the National Research Council (NRC) signed a memorandum of understanding that Canada would develop and construct the Shuttle Remote Manipulator system (or SRMS, which eventually became known as the Canadarm) using plans derived from the earlier CANDU manipulators. NRC, in typical cautious governmental committee fashion didn't give the full Canadarm build contract to the Canadarm designers but eventually awarded the contract to Brampton ON based Spar Aerospace, then considered the largest and most capable Canadian based company able to do the work, although DSMA received subcontractor work. Spar was originally formed in 1967 via a management buyout of Downview ON based de Havilland Canada’s Special Products division and Toronto ON based Avro Canada's Applied Research unit. But Spar, much like today's MDA, also possessed numerous US connections and business interests which influenced and effected its operations and sucked away much of its creative energy. This "diversification" intended to smooth out the business cycle and develop a consistent revenue stream eventually destroyed Spar, which was locked out of the lucrative US market as the space industry underwent a period of intense consolidation in the late 1980's and early 1990's. Eventually the contracts to build Canadarms defaulted to the much smaller and them almost completely Canadian MacDonald Dettwiler and Associates, which leveraged the contracts into a period of intense growth. It's not that there is anything with going with the largest and most capable vendor. After all, a large company with a substantial foreign composition such as Maxar/ MDA today (or Spar in the 70's, 80's and 90's) can also promote local subcontractors to build Canadian capacity for future programs in much the same way as Spar promoted the Canadian owned DSMA (and MacDonald Dettwiler) capabilities under the original Canadarm programs. It's almost certainly what Maxar/ MDA will promise to do in any future round of Canadarm contracts. But that doesn't change the obvious fact that Maxar/MDA senior management energies, as outlined in recent articles like the August 15th, 2018 Business Wire post, "Maxar Technologies' DigitalGlobe Co-Founds and Leads New World Geospatial Industry Council," and the August 10th, 2018 post, "Maxar Technologies Might be Getting Paranoid," seem to be focused on financial and business areas outside of Canada. On the upside, as a US based company, there is far less chance that Maxar/MDA will ever be locked out of the US aerospace market the way Spar was. Of course, the downside of that point is that most of the best and highest paying new Maxar jobs will end up in the US. Some Canadarm jobs may remain in Canada, but only if the Federal government insists. Again, it's not that there is anything wrong with that. It's just that the next generation Canadarm deserves a comprehensive and distinctly Canadian approach to its design and construction. As our reward, maybe we'll even get a few new domestic jobs out of the contract. You know. Like the last time. Chris Hadfield, past astronaut and current space idol. Is he merely a musician from out of this world? Or does he have a point when, as outlined in the July 8th, 2018 Business Insider post, "Astronaut Chris Hadfield says we could have gone to Mars decades ago — here's why we haven't," he discussed our capacity to travel to Mars. As outlined on his Wikipedia record, Hadfield is the recipient of numerous awards and special honours. These include appointment to the Order of Ontario in 1996 and the Order of Canada in 2014, receipt of the Vanier Award in 2001, NASA Exceptional Service Medal in 2002, the Queen's Golden Jubilee Medal in 2002, and the Queen's Diamond Jubilee Medal in 2012. He is also the only Canadian to have received both a military and civilian Meritorious Service Cross. "We could send people to Mars decades ago," Hadfield told Business Insider. "The technology that took us to the moon and back when I was just a kid — that technology can take us to Mars." However, "Hadfield noted that having the ability to go doesn't mean it'd be easy, safe, or worth the risk of human life — even considering new spacecraft." "The majority of the astronauts that we send on those missions wouldn't make it," Hadfield said. "They'd die." But some wouldn't and perhaps that's the real problem. According to Hadfield, the limits to current space exploration are dictated by use of chemical rockets which, while perfectly capable of traveling from the Earth's surface to orbit in a timely fashion, do not possess the ability to provide thrust for the days/weeks and/ or months at at time needed to get anywhere substancial in the solar system within a reasonable timeframe. A slower spacecraft needs to be bigger and more complex to store the additional food and supplies needed for the journey. It also needs to deal with the known concerns such as the health risks associated with exposure to deep-space radiation and all those unknowns which, by definition, we currently don't know a lot about. Altogether, there will be plenty of opportunities for catastrophe and death. 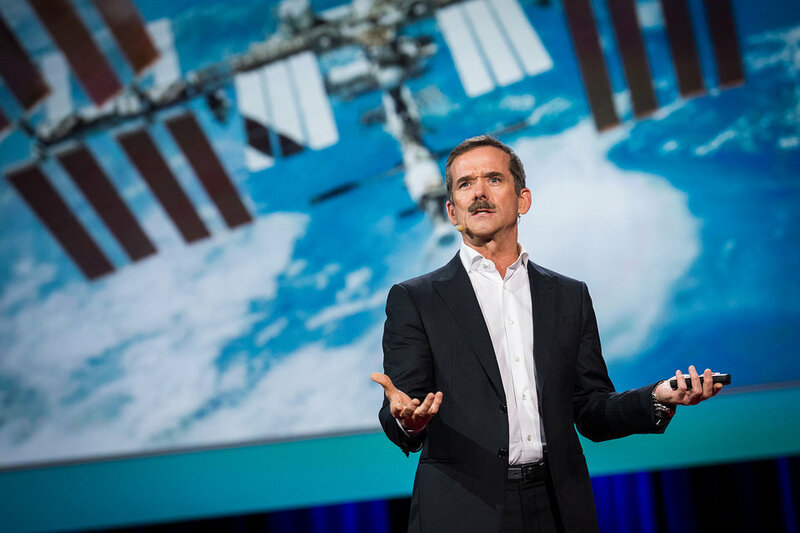 Hadfield might just be suggesting that space travel is currently so high profile, expensive and important to domestic and international perceptions, that no national space agency or government will risk leading a space mission likely to fail. Of course, there are those, mostly from the private sector, who disagree with him. A few are even betting money on it. Take Hawthorne CA based SpaceX CEO Elon Musk, for example. He has bet his public fortune and his reputation on a promise of being able to live out his final years in a well appointed Martian retirement community. He is perhaps the most noteworthy person to disagree with Hadfield. But Musk and Hadfield consider themselves practical and there is a reasonable argument to be made in both cases. It might be best to describe Musk as a dreamer/engineer. Who else would ever go? Hadfield has retired. However, the Fortune 500 monied sorts are banking that quite a few would go, if allowed. We are working jointly with NASA and building that first rocket space launch system. It's about 38 stories tall, the first story is being built right now. It has 9.2 million pounds of thrust on that rocket, it's the biggest rocket ever. We will begin test flights starting next year. I firmly believe that the first person to step foot on Mars will get there on a Boeing rocket. The Boeing launch system is more commonly known as a component of the US government funded Space Launch System (SLS), a shuttle-derived heavy-lift expendable launch vehicle, which has come in for more that its fair share of criticism. The SLS is a high-priced traditionally engineered and run NASA program dedicated to the belief that no one should ever die in space and nothing should ever go wrong, just so long as all the Earth bound aerospace jobs in Huntsville, Al are preserved. Naturally it costs far more than the SpaceX program and there is even some question over whether it will ever fly, since money doesn't grow on trees and risk can never be reduced to "absolute" zero. According to the August 3rd, 2018 NASA Spaceflight.com post, "Commercial Crew assignments; NASA nears goal of human space transport innovation," NASA has officially announced the flight assignments for the first crewed test and operational flights of SpaceX’s Dragon and Boeing’s Starliner crew transportation vehicles. For now, both teams seem to be progressing towards their first milestone, the ability to transport astronauts to and from the International Space Station (ISS) under NASA’s Commercial Crew Program (CCP). As outlined in the July 11th, 2018 NASA Commercial Crew Program update to the US Government Accountability (GAO) office under the title, "Plan Needed to Ensure Uninterrupted Access to the International Space Station," both Boeing and SpaceX are "making progress finalizing designs and building hardware for their crew transportation systems." 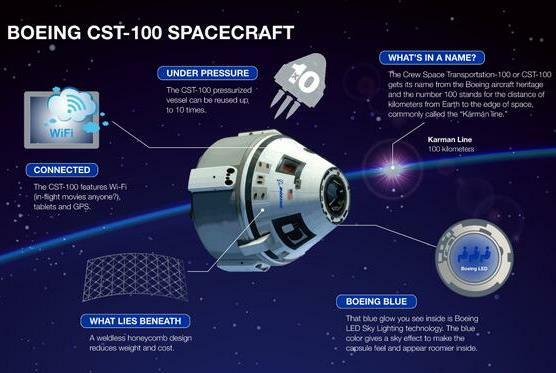 Boeing's CST-100 Starliner. As outlined in the November 15th, 2015 Spaceflight Insider post, "Aerojet Rocketdyne Signs Deal With Boeing to Provide CST-100 Propulsion System," the Starliner subcontracts out substancial portions of its capsule construction, unlike SpaceX, which prefers to make most components in house. Graphic c/o Boeing / Beyond Earth. However, both contractors are also pushing back certification milestones needing to be achieved in order to move the program forward, although Boeing may be further behind, at least as outlined in the July 30th, 2018 NASA Spaceflight.com post, "ASAP reviews Boeing failure, positive SpaceX success ahead of Commercial Crew announcement." So here we are wondering if this is a contest to see who has the fastest car in the space race? Is this comparable to comparing the fastest race car to the fastest horse to the fastest space vehicle? "Burning chemical rockets is the equivalent of using a sailboat or a pedal boat to try and travel around the world. Someone has to invent something we haven't thought of yet, maybe the work that's going on with the Alpha Magnetic Spectrometer on the space station and in the particle accelerator in CERN and other places ... is going to show us how we can harness gravity. "It sounds outlandish, but we figured out how to harness electricity and what electrons do, and that seemed crazy, and it's revolutionized life and travel. So who knows?" Meanwhile, Elon Musk dreams big of retiring on Mars while Dennis Muilenburg mostly just wants to get there first and make some money on the trip. At least Hadfield has experience in space, having flown two space shuttle missions and serving as ISS commander before retiring in 2014. He's probably right when he said we've had the same technological motor capabilities for decades. This isn’t leaps and bounds of innovation by any stretch of the imagination. But maybe, just maybe, some of the celebrities, dreamers, engineers and opportunists currently interested in the idea are willing to give it a good go this time round. Want an overview of the Canadian space industry and the public policy and political issues associated with it? Then check out these freely available online publications from the Canadian Space Agency (CSA) and the Paris, France based Organisation for Economic Co-operation and Development (OECD). 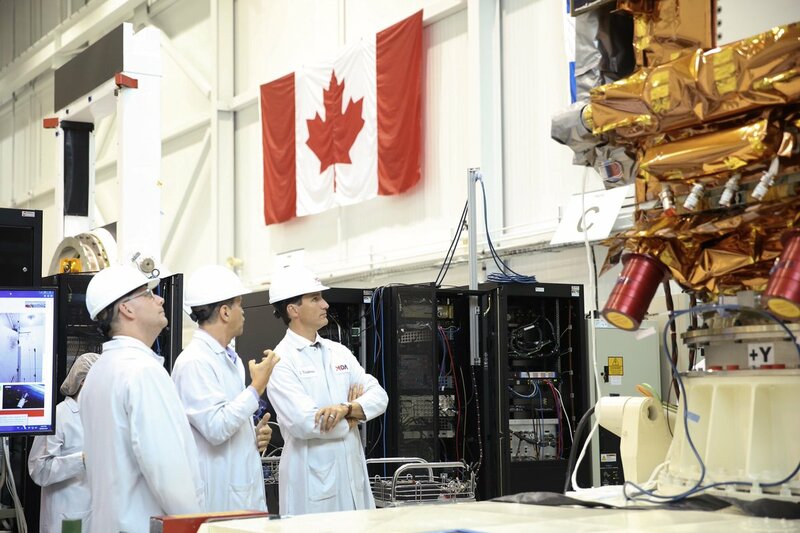 Canada has a well-developed space industry, including about 200 private companies, in addition to research institutions and universities, some of which have some commercial activities. The ten biggest companies accounted for almost 88% of revenues and 64% of employment (Canadian Space Agency, 2013). Space manufacturing is mainly located in Ontario (more than half of the workforce) and in Quebec (19% of workforce). Some 7,993 people were employed in the space sector in 2012, an increase compared to 2011, with more than half defined as “highly” qualified’ (engineers, scientists and technicians). Total Canadian space sector revenues amounted in 2012 to $3.3Bln CDN, a 4.5% decrease as compared to 2011 (Canadian Space Agency, 2013). Of course, the data used in the OECD publication had to come from somewhere and most of the OECD numbers were referenced from the 2012 State of the Canadian Space Sector Report, which was released in January 2014 by the CSA. The 2012 CSA report was discussed in the January 24th, 2014 post, "Canadian Space Industry Shrinks While International Markets Grow!" The latest CSA report is the 2016 State of the Canadian Space Sector, which was released in July 2018 and discussed in the July 26, 2018 post, "Assessing the 2016 State of the Canadian Space Sector Report." As discussed in that post, there has been a six year stagnation in Canadian space focused activities going back to 2010, which shows no signs of abating. In part, the stagnation reflects the international markets which also stagnated during that period, although the Canadian decline is generally considered more severe. The key metrics and statistics used to measure the space sector by the CSA and others are explained in the OECD Handbook on Measuring the Space Economy. Meant to be complementary to the Space Economy at a Glance report, both documents are updated every few years and available on the OECD website. The CSA report on the "Comprehensive Socio-Economic Impact Assessment of the Canadian Space Sector," completed in March 2015 but only released in June 2016, was developed using OECD methodologies in an effort to "capture the economic argument for investment in space." The report was discussed in the June 3rd 2016 post, "Canadian Space Agency Releases "Comprehensive Socio-Economic Impact Assessment of the Canadian Space Sector" and the June 12th, 2016 post, "A Quick Conversation with Euroconsult on the "Comprehensive Socio-Economic Impact Assessment of the Canadian Space Sector." The OECD also covers the economic argument for the investment in space. The OECD Space and Innovation Report, published on October 27th, 2016, notes that "after decades of innovation, satellites now play a discrete but pivotal role in the efficient functioning of modern societies and their economic development." New analysis and indicators contribute to answering some of the following questions: is the space sector still a driver for innovation in the 21st century? What are the determinants for an innovative space sector? And what are the policy responses to encourage and harness better space-related innovation? After becoming familiar with the publications described above, even the most casual of space geeks will possess a working knowledge of the public policy issues associated with the space industry. Knowledgeable people who understand the context and constraints under which existing policies were developed are dangerous, capable of bending the political process to their will and well able to build better policies. A team of postgraduate researcher from Yale and Stanford Universities and the University of Colorado have urged the space industry to adopt a policy requiring the use of encryption on all cubesats and smallsats with onboard propulsion. "From scytales in the year 700 BC to the first password, CAPTCHAs and literally unbreakable 258-bit encryption, take a walk with us through the history of encryption," says the introduction to this infographic. To see the complete infographic, simply click on this link. Graphic c/o Visually. As outlined in the August 9th, 2018 Space News post, "'No encryption, no fly' rule proposed for smallsats," the team made their presentation at the recently concluded American Institute of Aeronautics and Astronautics (AIAA) Annual Smallsat Conference, which was held from August 4th - 9th, in Logan, UT. 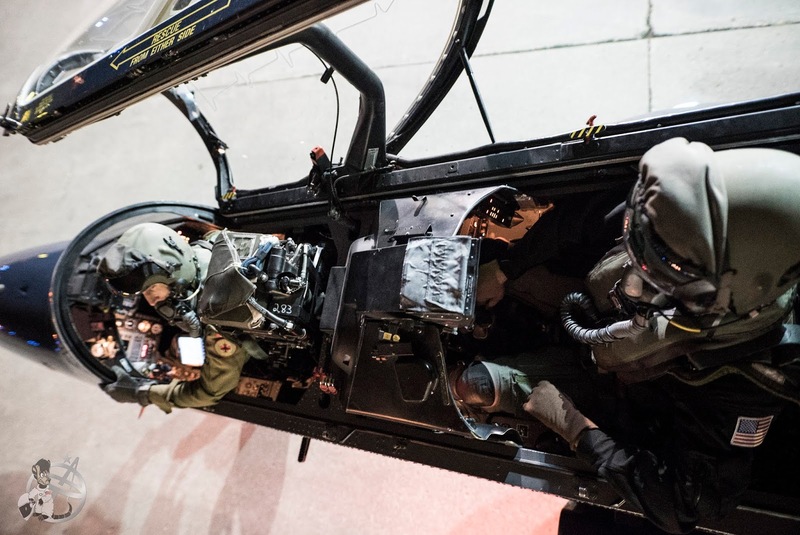 Their request comes at a time when multiple independent groups have demonstrated the vulnerability of various mobile platforms (aircraft, spacecraft, automobiles and drones) to hacking---with potentially disastrous results. As part of their presentation, the researchers modelled several different propulsion systems on a hypothetical 10 kg nanosatellite in a 300-kilometer Earth orbit with propulsion systems accounting for half of the spacecraft’s mass. The results ranged from the satellite reaching medium Earth orbit altitudes within two hours when using chemical propulsion to passing geostationary orbit in about a year with an electric propulsion system. Cubesat builders, who once had few options available for onboard propulsion, now seek to make use of more advanced chemical and electric propulsion systems. These systems can provide smallsats with big boosts in velocity, which can enable rapid orbital changes. The researchers were troubled by potential scenarios where hackers can take control of and quickly redirect satelites with unencrypted command and control systems. These compromised satellites could then be used to attack other satellites. Government satellites, as well as many commercial ones, strongly encrypt their command signals to make hacking unlikely. However, many satellites run by academic institutions have no such security, often due to funding or technical limitations. To prevent such incidents, the researchers recommended that the space industry adopt a policy requiring the use of encrypted command systems on small satellites, called ‘no encryption, no fly.’ This policy could be enforced by launch providers or via contract provisions from satellite propulsion manufacturers. History has proven that any system that can be hacked will be hacked, given time. Satellite encryption will prove all the more critical in the coming decades as multiple commsat constellations come online, more space-based construction takes place and private crewed orbital and suborbital flights increase. Recent signs show the dangers of inactivity in this area. 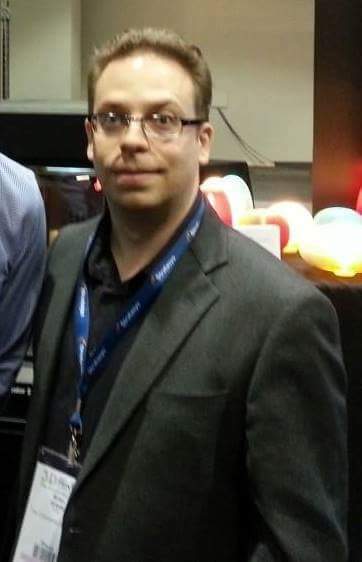 As shown in the August 9th, 2018 Forbes post, "This Guy Hacked Hundreds Of Planes From The Ground," cybersecrity researcher Ruben Santamarta demonstrated how he spied on hundreds of commercial passenger aircraft during November and December of 2017 due to vulnerabilities in satellite communications equipment, i.e. antennas and modems. Santamarta could monitor data being sent to and from the aircraft and, had he wished, access their onboard WiFi systems and passengers’ connected devices. Luckily, the aircraft’s safety systems were inaccessible due to the way modern aircraft’s onboard networks are segmented. Santamarta has shared his data with the relevant airlines, satellite equipment vendors and government agencies and most (though not all) have patched the vulnerabilities. Santamarta also presented his findings at the prestigious 2018 Black Hat USA Conference, which was held in Los Vegas NV from August 4th - 9th. It's worth noting that Canadian Prime Minister Justin Trudeau didn't offer up any new funding for the Canadian space industry during his Thursday trip through the Ste-Anne-de-Bellevue PQ based facility owned by Westminster CO based Maxar Technologies and operated by its Brampton ON based MDA subsidiary. He wears a white hat so he must be here to rescue us! 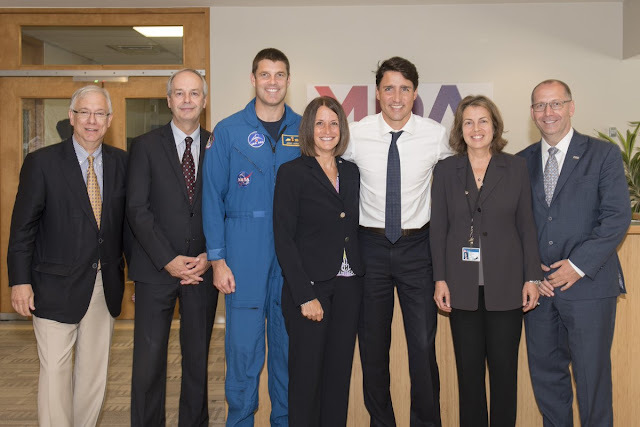 PM Trudeau (right) with MDA scientists at the Radarsat Constellation Mission (RCM) manufacturing facility in Ste-Anne-de-Bellevue PQ on Thursday, August 9th, 2018. As outlined in his twitter post, "The satellites being built at @MDA_maxar in QC will help us measure the effects of climate change, monitor the oceans, and provide valuable information when natural disasters strike. It was great to learn about the Canadian tech & workers behind them before they head into space." Photo c/o @JustinTrudeau. After all, just the day before, as per the August 8th, 2018 CBC News post, "Government, private sector invest $1B in information technology in Montreal," Trudeau announced that the "federal and provincial governments along with Canadian tech company CAE" will be teaming up "to invest about a billion dollars over five years into training and simulation technology." Earlier the same day, as described in the August 8th, 2018 Montreal Gazette post, "Quebec, Ottawa to give CAE nearly $200 million for aviation training," we learned where most of the money being contributed by Montreal PQ based CAE for the training and simulation technology was going to come from. But local MDA employees were far more concerned over recent reports indicating that Maxar HQ was "under attack" by a "short seller" encouraging Maxar stock to drop in price on major exchanges. The "attack" on Maxar/MDA evidently began with the August 7th, 2018 Spruce Point Capital press release, "Spruce Point Capital Management Releases a Strong Sell Forensic Research Opinion on Maxar Technologies Ltd. (NYSE / TSX: MAXR)," which warned, among other things, that Maxar’s dividend was at risk. As outlined in the August 7th, 2018 Financial Post article, "Maxar stock plunges after short-seller says space company's dividend is at risk," the Spruce Point press release also set an intermediate price target for Maxar stock in the range of $20 US ($26 CDN) to $25 US ($33 CDN) per share, which was about half of Maxar’s previous 52-week low of $42.11 US ($54.94 CDN) on the New York Stock Exchange (NYSE). During the day, Spruce Point also tweeted out a series of unflattering assessments of Maxar prospects, including this Auguest 7th, 2018 @sprucepointcap tweet, which referenced "Maxar's dire financial situation and aggressive accounting." Maxar shares traded at $49.49 CDN at mid-afternoon Tuesday (August 6th) at the Toronto Stock Exchange (TSE), down $8.24 from Friday’s close prior to a holiday weekend. Who's the most important person in this picture? Maxar/MDA executives, including MDA director of public affairs Leslie Swartman (center) and MDA group president Mike Greenley (far right) with CSA astronaut Jeremy Hansen (3rd from left), PM Trudeau (3rd from right) and others at the Ste-Anne-de-Bellevue PQ based MDA facility on August 8th, 2018. Photo c/o @mda_maxar. By the end of the day, the dip in stock prices encouraged Maxar to formally respond to Spruce Point allegations. The April 7th, 2018 Maxar press release, "Maxar Technologies Responds to Misleading Short Sell Report," went so far as to state that "Maxar believes it is a direct attempt by a short-seller to profit, at the expense of Maxar shareholders, by manipulating Maxar’s stock price." Of course, Maxar may have a point. According to its website, New York NY based Spruce Point Capital Management, "focuses on short-selling, value, and special situation investment opportunities" and "conducts in depth fundamental research and takes an activist approach to investing." Which is a polite way of saying that the firm would benefit from a decline in Maxar stock prices, and would not be opposed to "activist" measures, such as the release of an unfavorable assessment, which would encourage those sorts of declines to occur. Dropping stock prices benefit "short sellers" like Spruce Point, which make money buying up bargain basement stock shares and reselling them after the stock price recovers. As if on cue and by the close of business on Thursday August 9th, Maxar shares had risen to $51.11 CDN on the TSE as the markets began to discount the Spruce Point recommendations.. However, it's worth noting that these sorts of situations are normally dealt with at a much lower level, well before the need for public pronouncements. Maxar's very public response to the Spruce Point allegations suggests internal fear over the state of the financials which might also indicate the need for a cautious "wait and see" investor approach before any long-term Maxar stock is added to a portfolio. According to the November 5th, 2012 Space News post, "Canadian Radarsat Constellation Mission Delayed, Cost Rises by $400M," the RCM program has increased in cost and had its development cost substancially stretched out since first being announced over a decade ago. As outlined in the January 12th, 2013 post, "A $706Mln Fixed Price Contract and Hard Launch Date for RADARSAT Constellation," RCM was finally placed on a fixed price contract with a required hard launch date in January 2013. Screenshot c/o Space News. Of course, that doesn't mean that Maxar shouldn't be getting paranoid. The market did dip on the initial Spruce Point pronouncements, just like Spruce Point knew that it would. As outlined in the August 9th, 2018 Cantech Letter post, "Maxar Technologies can’t just ignore short report, Christine Poole says," some think Maxar should even respond in greater public detail to the Share Point allegations in order to prevent Maxar stock prices from dropping further. According to that article, Maxar’s stock had previously plunged 20% in late February in response to its fiscal fourth quarter and full-year 2017 earnings report, which featured higher revenues related to its DigitalGlobe business unit (which focuses on the growing Earth imaging market) but lower revenues from its SSL business unit, which depends on the sale of large geostationary communication satellites in a shrinking international market. The fourth quarter report also estimated a revenue decline of between 2% and 4% for the upcoming fiscal year, a bad sign given the normal investor preference for year over year growth and a lot of downside for the market to digest. As for PM Trudeau, although he seems more than willing to pose for photo-ops, he hasn't offered up any big new fiscal bones to Maxar either, although there have been recent small contracts awarded. As outlined in the second volume of the 2012 David Emerson led Aerospace Review under the title, "Reaching Higher: Canada's Interests and Future in Space," there is a broad consensus on both sides of the Federal House of Commons that budgetary problems and ballooning costs on the Radarsat Constellation Mission (RCM), soured the reputations of both the CSA and prime contractor MacDonald Dettwiler (a firm which has now morphed into the foreign owned Maxar subsidiary MDA) in the early 2010s. That's what has led led to the current lack of support for new funding for Canada's space agency, which is another reason why Maxar might be getting paranoid. Just because you're paranoid, that doesn't mean that everyone isn't out to get you. Could Space Industry Funding Come From Canada's New Cannabis Industry? Canada has one advantage in the international space industry which very few people are talking about. The scientific advances being developed through efforts cultivating crops designed for the closed environment of space are also directly applicable to the quite similar problem of growing marijuana, a crop which Canada is in the midst of legalizing. As outlined in the September/Octorber 2014 issue of Lab Business article, "Mission to Mars," Dixon is also ready to grow food on Mars, which will certainly be of interest to Elon Musk. who is hoping to relocate there over the next few decades. However, Dixon's also happy to settle for helping to grow crops in Canada's far north, an area which is also shaping up to be a lucrative business according to the article. Graphic c/o Lab Business. 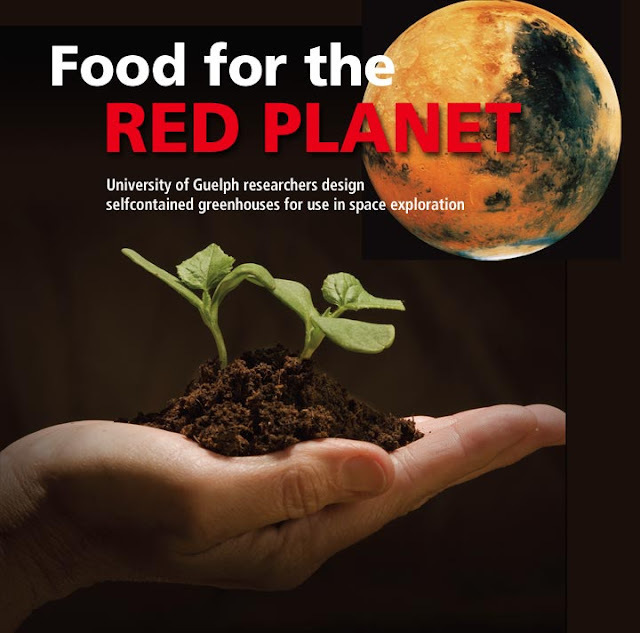 Mike Dixon, the director of the Controlled Environment Systems Research Facility (CESRF) at the Guelph ON based University of Guelph (UofG), has even figured out a surefire way to get funding for space farming: make it applicable and useful to the nascent Canadian based cannabis industry. As outlined in the Jun 22nd, 2016 Popular Mechanics post, "Science For Space Farming Is Also Being Used to Grow Weed," no technology is too expensive to grow cannabis, according to Dixon. If Canada were to legalize pot (as Canadian Prime Minister Justin Trudeau has promised to do this fall), it's expected the country would generate $5Bln CDN in tax revenue and growers like ABCann (now VIVO Cannabis) a medical marijuana company in Ontario that collaborates with Dixon, know that any possible advantage could become a worthwhile investment to get a foothold in the upstart economy. Dixon and CESRF connect and often work in conjunction with the Canadian Space Agency (CSA), the NASA Advanced Life Support (ALS) community and the European Space Agency (ESA) Micro-Ecological Life Support System Alternative (MELiSSA) programme. As outlined on their website, CESRF government sponsors include the Centre For Research in Earth & Space Technology (CRESTech), the Ontario Ministry of Agriculture, Food and Rural Affairs (OMAFRA), the Natural Sciences and Engineering Research Council (NSERC), the CSA and the ESA. Industry sponsors include twenty corporations such as Surrey BC based Argus Control Systems Ltd., the Pittsburgh, PA based H.J. Heinz Company, St. Louis, MI based Monsanto, the Sudbury ON based Northern Centre for Advanced Technology Inc. (NORCAT), the Ontario Greenhouse Vegetable Producers Marketing Board (OGVPMB) and others. Off campus, Dixon has a number of other interests. As outlined in his undated profile for the Canadian edition of The Conversation, he's "the technology exchange coordinator for the International Advanced Life Support Working Group (IALSWG) which is a strategic planning group offering information and personnel exchange between international space agencies such as NASA, CSA, ESA, RSA and JAXA (Japan)." Dixon has also served as "Chair of the Space Exploration Advisory Committee (2004-10) of the Canadian Space Agency (CSA) and is a member of the Life Sciences and Technical Committee within the American Institute of Aeronautics and Astronautics (AIAA)." But while he certainly has his eyes on the stars, Dixon sees no reason why Canada cannot "take a leadership role" in the burgeoning field of botany as a bonus. As for where all the smoke surrounding this topic ends up getting blown, that will be for future generations to decide. The deadline to contribute position papers to the pre-budget consultations held annually by the House of Commons Standing Committee on Finance (FINA) in advance of the expected release of the next Federal budget in March 2019, has passed. But it's worth noting that there are many things we can still do to support the Canadian space industry. For example, we could kick in a few bucks for the University of Toronto Aerospace Team (UTAT). UTAT team members surround a model of their rocket. Graphic c/o UTAT. 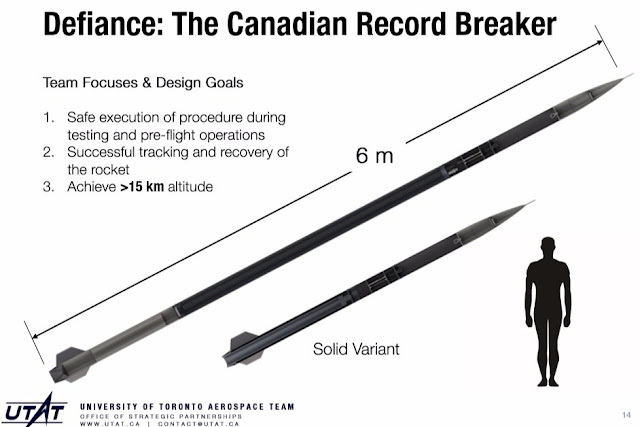 As outlined in their GoFundMe webpage under the title "Defiance: Record-breaking rocket," as of August 6th, 2018 the team was approximately $2000 CDN short of the $8500 CDN needed in order to be able to fund and build a hybrid sounding rocket, called "Defiance." The rocket will be used in an attempt to break the current Canadian amateur rocketry altitude record. Your contributions will help construct the state-of-the-art propulsion system to power Defiance. This includes manufacturing the oxidizer tank, combustion chamber, rocket fuel core, and validating crucial flight systems through low altitude tests. In June we plan on flying a demo vehicle to 5km altitude to verify avionics and recovery systems but your contributions will allow us to test the most important system of all: propulsion. UTAT doesn't just build rockets. As outlined on their website, UTAT is an "interdisciplinary university design team that designs and builds rockets, satellites, drones and unmanned aerial vehicles." They were last profiled in the April 3rd, 2017 post, "UofT Undergraduate Satellite Builders Raise Almost $500K to Build & Launch a Microsatellite in 2019." As outlined in the July 6th, 2018 post, "Time to Contribute to the Pre-Budget Consultations of the House of Commons Standing Committee on Finance," this blog has advocated contributing to the annual FINA budget consultation process in order to encourage the Federal government to assist the Canadian space industry, either through additional direct funding, improvements to the Federal procurement process or through tax breaks for space focused organizations. But we could certainly be doing more. And we should absolutely not be depending on any one single level of government or any specific political party to support Canadian efforts to contribute to our next great space age. Waiting for someone else to take the ball and solve our problems is the surest route to failure. So lets take the future in our own hands and begin contributing directly to useful, space focused projects like UTAT. Want to find our where there smart venture money is pooling? Then check out the latest PwC MoneyTree report. The complete Q2 2018 PwC Money Tree report, is available online from the PwC website by simply clicking on the graphic above. Graphic c/o PwC. The quarterly report covers updates on the Canadian venture capital and high-growth startups ecosystem and is a staple of the financial community. It's compiled by Toronto ON based PriceWaterhouseCoopers (PwC) Canada, the Canadian subsidiary of a multinational professional services network headquartered in London, UK, and New York, NY based CB Insights. The latest report, covering the second quarter of 2018, is all about funding analytical tools and artificial intelligence applications capable of dealing with very large data-sets. As outlined in the July 26th, 2018 Betakit post, "Report: AI Drives VC Investments As Canada Hits $900 Million USD For Second Straight Quarter," which reports on the current Q2 2018 report, the AI sector continues to attract Canadian venture capital. The article goes on to state that the preponderance of AI deal has been a fixture of the Canadian investment opportunities over the last several quarters and shows no sign of slowing down. Overall funding trends in Canada over the last six quarters. Graphic c/o PWC. While AI is perceived of as being the "next generation of analytics for the investment community," its also worth noting the space focused applications of the new tools. The analytical capabilities are of interest to astronomers and Earth imaging satellite experts because of the large volumes of data they are required to assess. The European Space Agency (ESA) in particular has been organizing events to assess the new tools to see if they can handle "the massive spatio-temporal Earth and Space observation data collected by a variety of sensors - ranging from ground based to space-borne - and the synergetic use of data coming from other sources and communities," according to the website for the "2019 Conference on Big Data from Space (BiDS'19)," an ESA sponsored event which will be held in Munich Germany from February 19th - 21st, 2019.